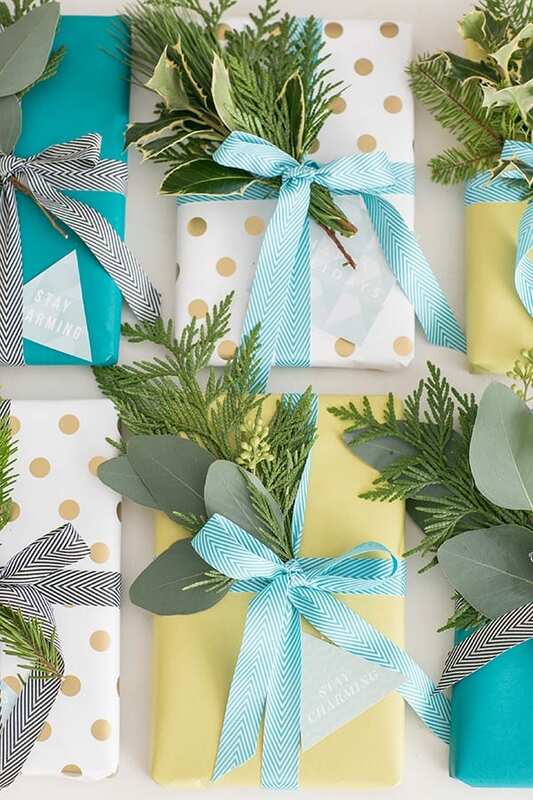 We brought our wrapping paper, fresh greens and charming tags to the Clinique counter, at South Coast Plaza Macy’s, yesterday for a gift wrapping workshop! 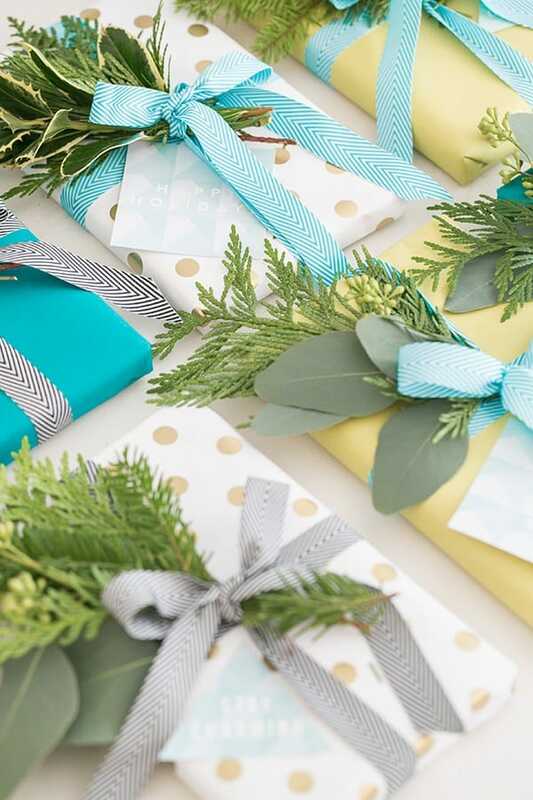 We spread some holiday cheer and wrapped presents for the customers who bought Clinique! 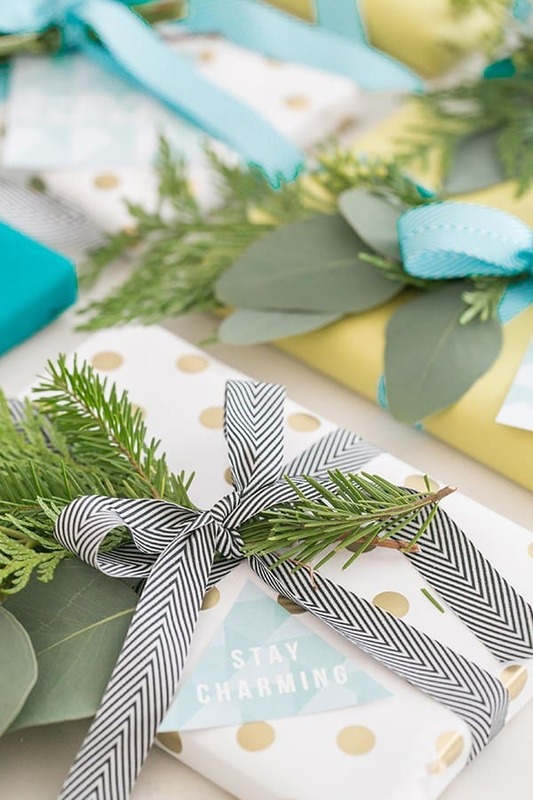 Everyone loved the fresh greens, charming gift wrapping and holiday tags, and the best part was when they said, “Wow, I couldn’t have done this!” which totally made my heart smile. 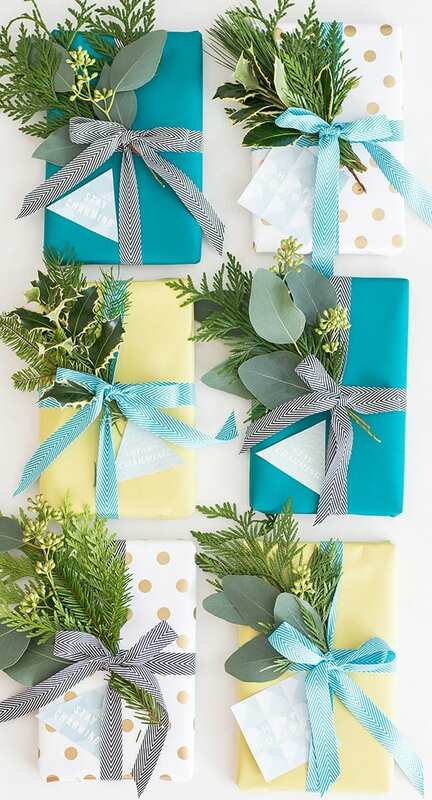 But creating festive gift wrapping is totally achievable. 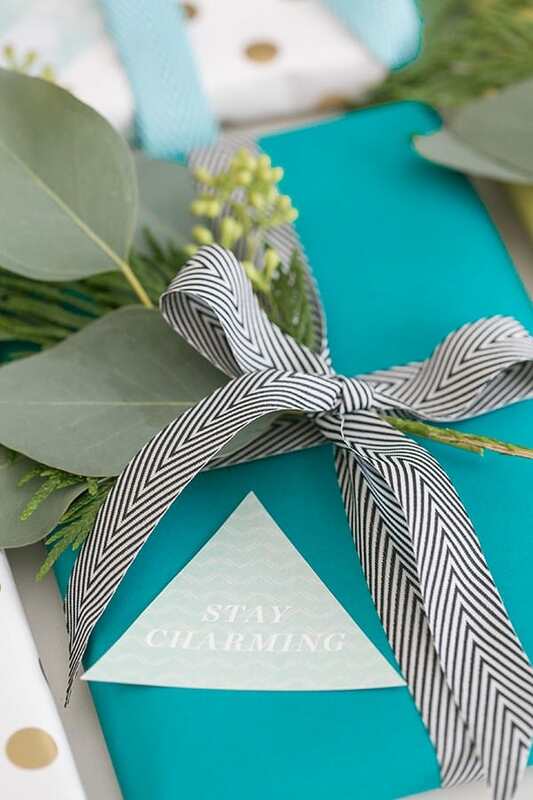 Just adding fresh greens and a nice ribbon can really add charm. The simple things like nicely wrapping a gift for someone brings so much joy. 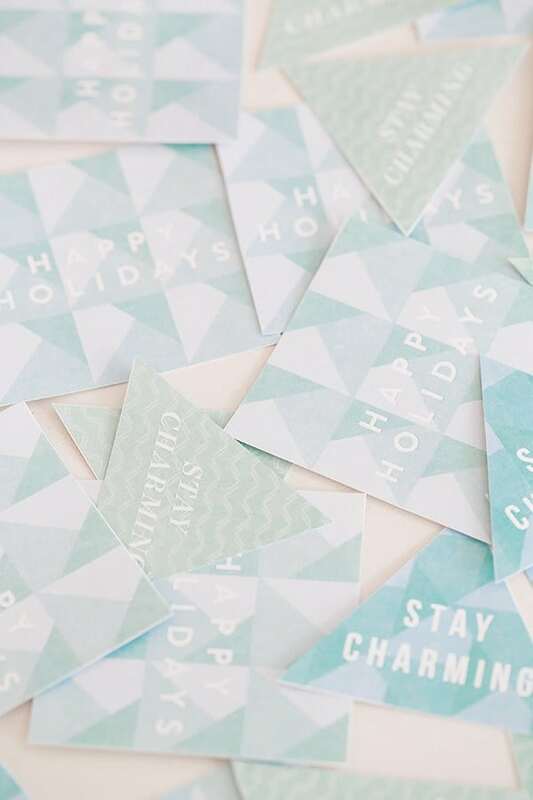 We also have the holiday tags here available for you to print and download too! Thanks Clinique for having us!! Where do you buy that ribbon? Hey Eden , Happy New Year ! I love your blog <3 I am a bit late and I missed this post , what a pity ! Hi Christina!! Thank you for the sweet note!! It’s always so encouraging to hear that 🙂 AND don’t worry about the tags, there’s always next year, hehe 🙂 HAPPY NEW YEAR!